People like shirts, stickers and goodies to show support of their favorite operation system, and though the Xubuntu project has been slower than our friends over at Kubuntu at offering them, we now have a decent line-up offered by companies we’re friendly with. 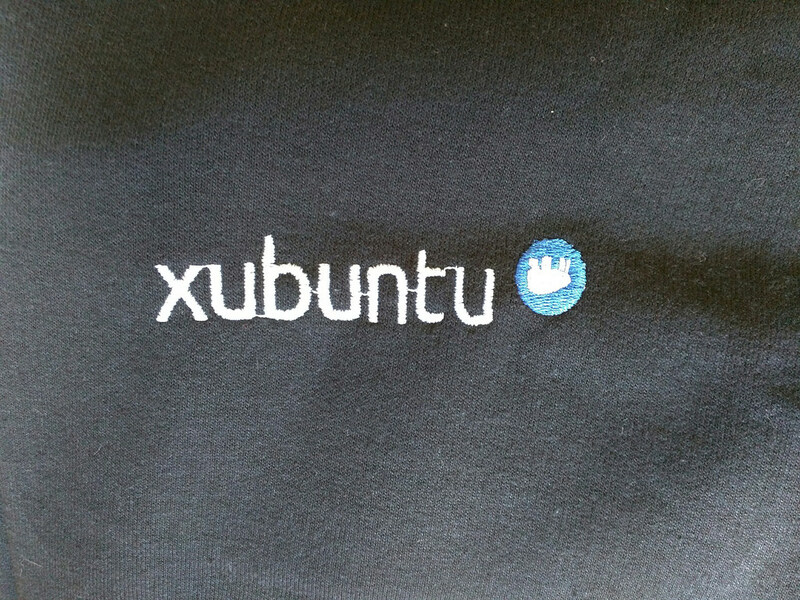 Several months ago the Xubuntu team was contacted by Gabor Kum of HELLOTUX to see if we’d be interested in offering shirts through their site. We were indeed interested! So after he graciously sent our project lead a polo shirt to evaluate, we agreed to start offering his products on our site, alongside the others. See all products here. 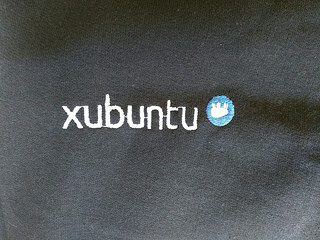 Polos aren’t really my thing, so when the Xubuntu shirts went live I ordered the Xubuntu sweater. Now a language difference may be in play here, since I’d call it a sweatshirt with a zipper, or a light jacket, or a hoodie without a hood. But it’s a great shirt, I’ve been wearing it regularly since I got it in my often-chilly city of San Francisco. It fits wonderfully and the embroidery is top notch. 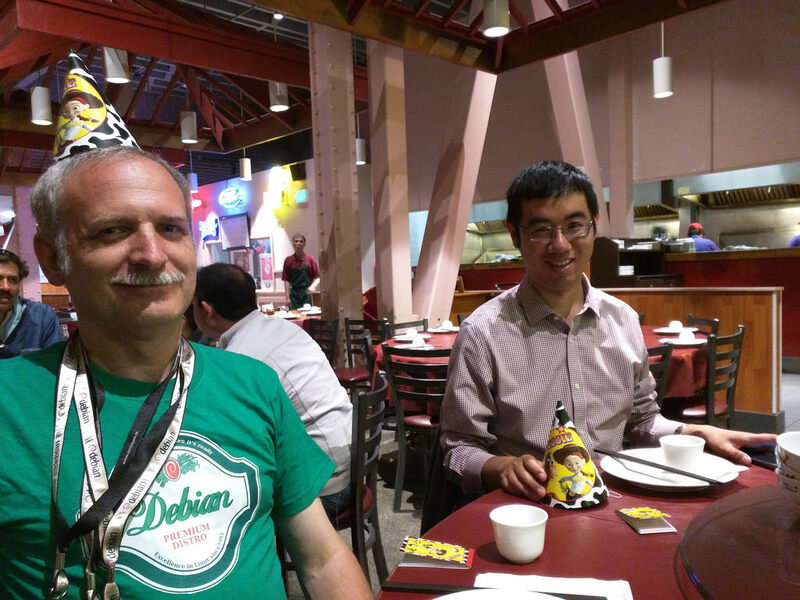 In other Ubuntu things, given my travel schedule Peter Ganthavorn has started hosting some of the San Francisco Ubuntu Hours. He hosted one last month that I wasn’t available for, and then another this week which I did attend. 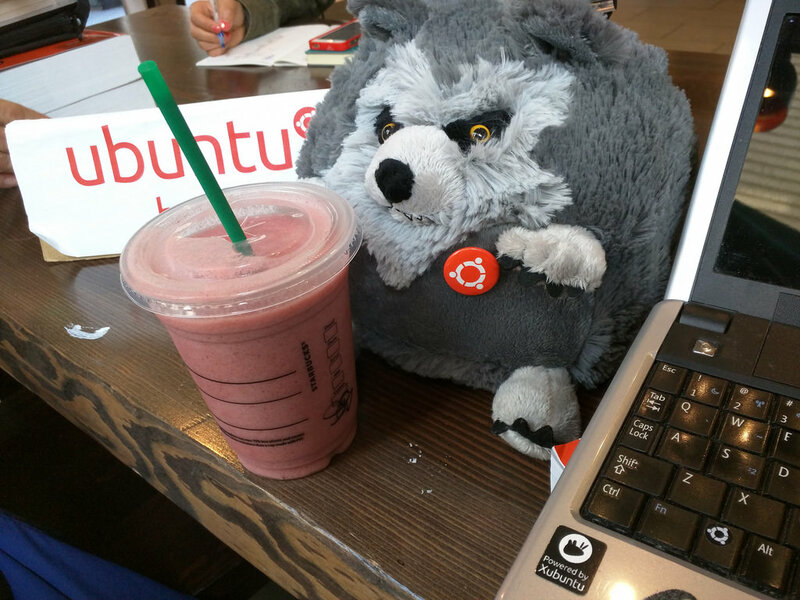 Wearing my trusty new Xubuntu sweatshirt, I also brought along my Wily Werewolf to his first Ubuntu Hour! I picked up this fluffy-yet-fearsome werewolf from Squishable.com, which is also where I found my Natty Narwhal. 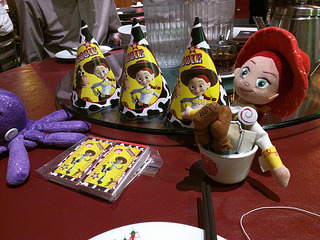 Now I just need to actually upgrade my servers to Jessie!